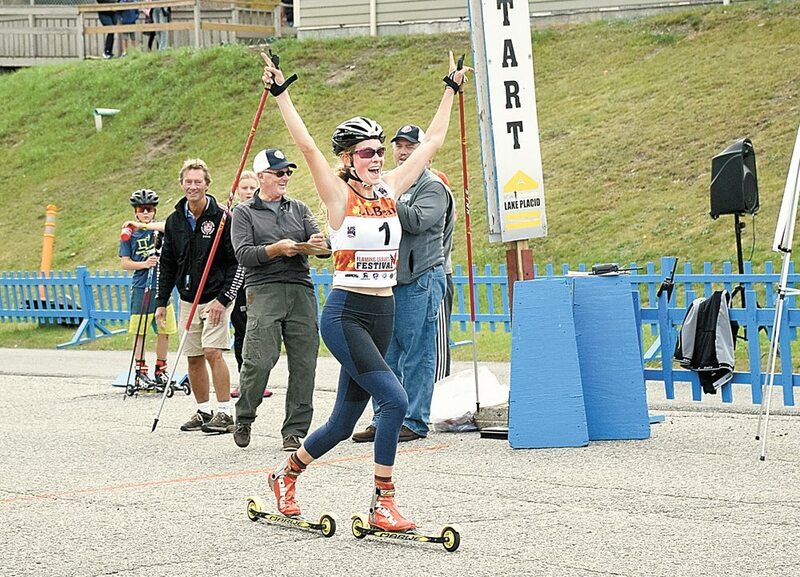 LAKE PLACID — Lake Placid native Nina Lussi was all smiles — of joy and relief — after winning two national championships Sunday in Lake Placid at the annual Flaming Leaves Festival. Lussi had the longest and third-longest jumps of the day off the 90-Meter jump at the Olympic Jumping Complex to capture the women’s US Ski Jumping National Championships. Lussi’s first jump was 88 meters, and her second saw her land 94.5 meters down the hill. Nita Englund took second place with jumps of 82 and 90 meters. 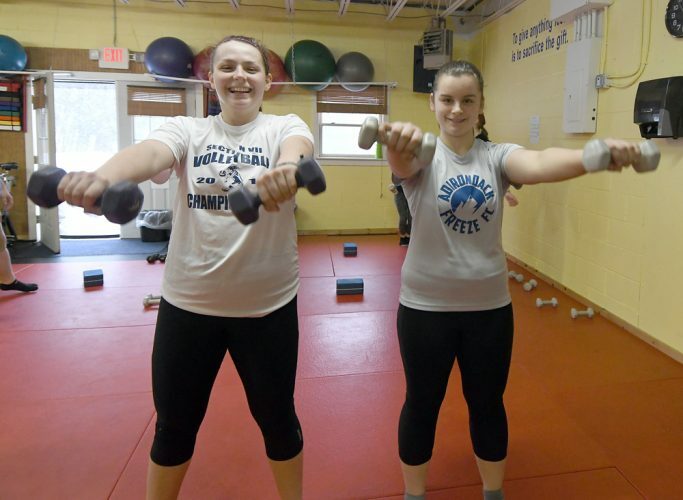 Recent Lake Placid High School graduate Gabby Armstrong placed eighth in the women’s division with jumps of 57.5 and 59 meters on the wet and windy day. On the men’s side, Michael Glasder (96 and 100.5) captured the top spot, and was followed by Mackenzie Boyd-Clowse (90.5 and 95). 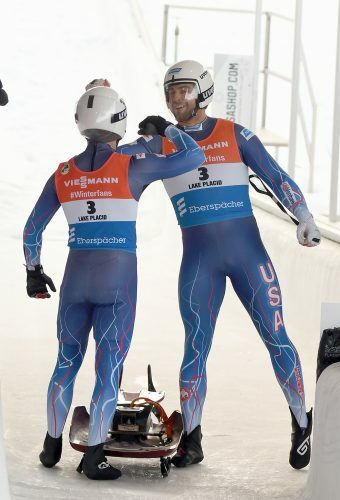 The jumping was just the first part of the action on Sunday though, as the US Nordic Combined championships took place in the afternoon. The nordic combined takes jumpers’ scores and combines that with their time in a rollerski race. Due to her first-place jumping finish, Lussi was given about a 4:30 head start on Armstrong, who was her only competitor in the combined race. 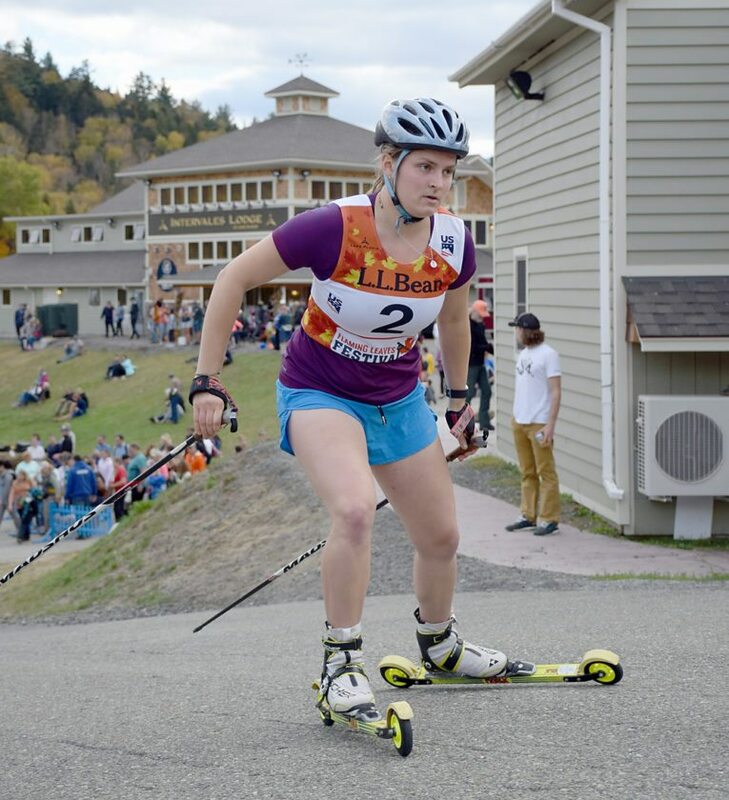 With the jumping championship under her belt already, Lussi borrowed a pair of rollerskis to tackle the 5-kilometer ski course and came out on top to capture her second national championship of the day. 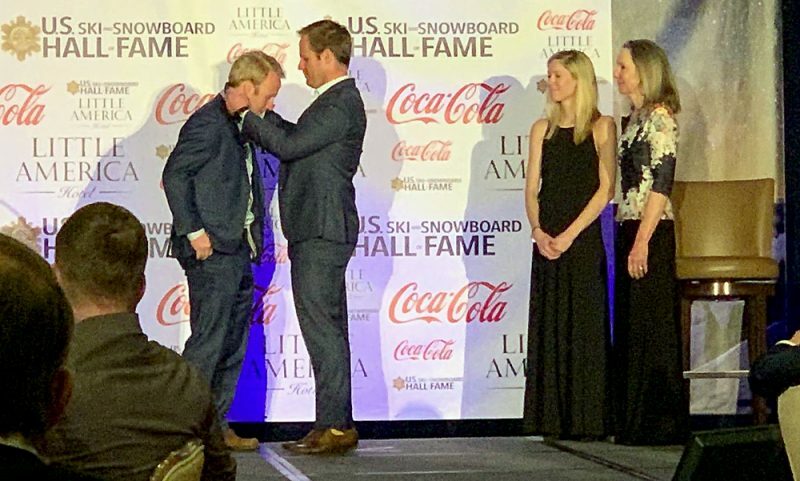 Armstrong, who won the individual cross-country skiing high school state title as a senior in March, made up almost 2 minutes on Lussi, but couldn’t overcome the older racer’s head start. “I feel relieved, honestly. Now I literally have time to catch my breath,” Lussi laughed. “I was coming into this weekend obviously focusing on the ski jumping competition, so after I jumped well this morning I had the enthusiasm for the day. I lost that quickly on the cross-country course. Lussi said she thought it would be a mass start of all the racers, and became slightly more nervous when it was clear that she and Armstrong would be on the course by themselves after the men’s race was done. 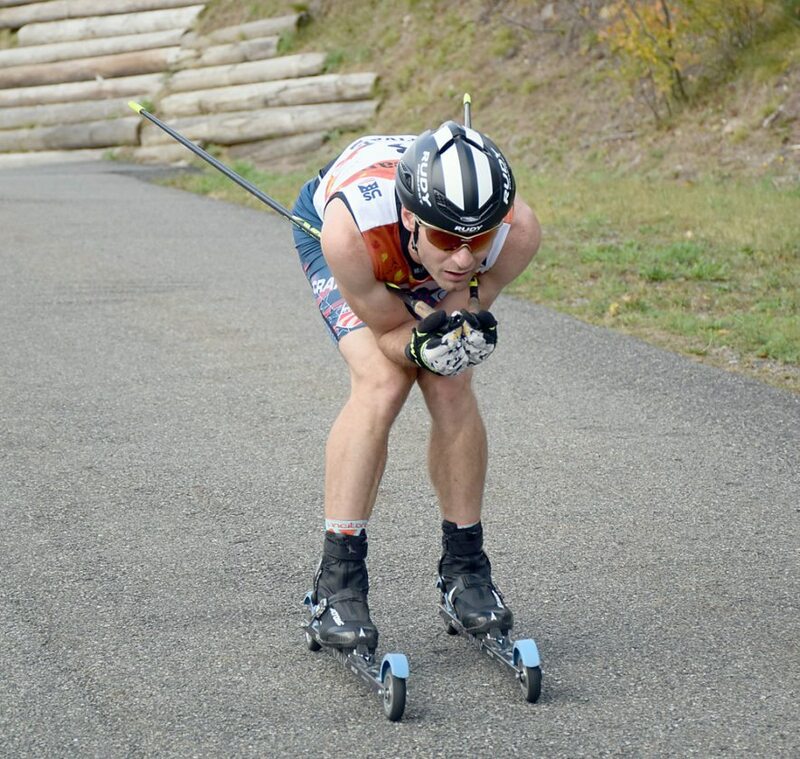 Bryan Fletcher, a member of the US Nordic Combined team, was also given the first spot in the nordic combined race and captured his third national championship on Sunday. Fletcher, of Steamboat Springs, Colorado, started the race with a 1 minute, 14 second lead. “It was definitely a confidence booster knowing that I had some time in the pocket,” Fletcher said. “You know it’s always tough, you never know what could happen at national championships, so to have a minute, a minute 14 lead over second is very comforting to know. During the jumping portion of the day — from about 11 a.m. until after lunch — strong winds and occasionally heavy rain buffeted the jumping complex. Fletcher said the wind was a big component in his jumps of 91 and 82 meters. “It’s a big factor. I think it’s kind of the conditions you need to have a far jump with with as low a speed as we’re jumping with,” he said. “That’s kind of the high-stakes game that we’re playing now. 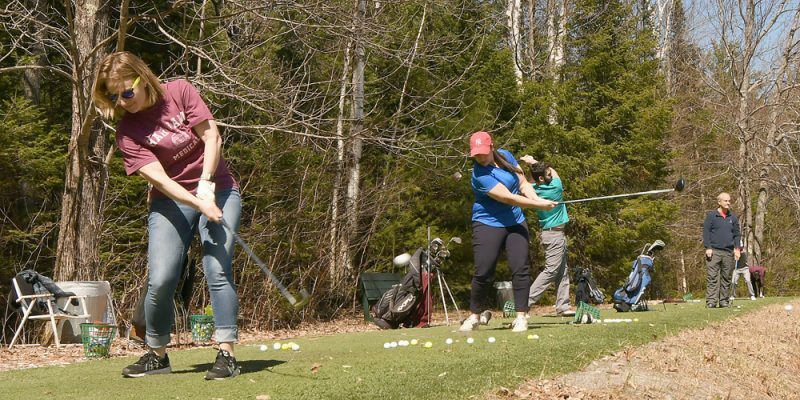 The sport has advanced so much that subtle differences make a huge difference.